Providing fine string music for people living in the Twin Cities of Minneapolis and St Paul, Minnesota, the group was established in 1986 by violinist James Plattes. 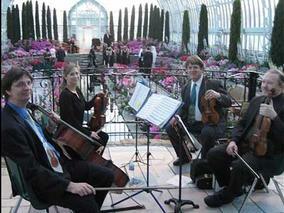 The Larkspur Strings® features three groups of extremely talented professional musicians. All groups feature James Plattes as leader and musical director. Cassette tapes of all groups are available.